Not everyone will manage to travel to Brazil and watch the best of football – or “soccer” as it’s known in some parts of the world. Google Street View now brings you up, close, and personal with the locations that will host the World Cup matches. Google Maps has created a “digital legacy” as it takes you to the 12 stadiums and also across the country with its fabulous street art. The world will come together with the first whistle on June 12th and this gives Google Maps a great opportunity to add to its virtual reach. 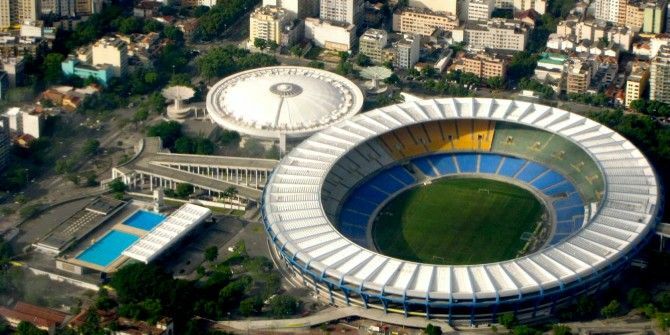 Take a trip to the 12 stadiums in twelve cities which will feature in the World Cup. The Cup will kick-off from Arena de Sao Paulo and end at Estádio do Maracana, in Rio de Janeiro. Google Street View also takes you around Brazil and the vibrantly painted streets. The street art is uniquely Brazil and is way for Brazilians to show their love for the game every four years. With Street View, the whole world gets to see this tradition. Google also says that images from many other spots in Brazil are available on Google Street View. Catch sights like the Iguaçu National Park and St. Michael of the Missions on the Brazil Highlights. Google also sparked a Latin fever with new imagery from Peru, Chile, Colombia and Mexico. “Soccer mad” is an understatement when one speaks about the fever that currently grips the world and Brazil. There are many ways to follow the World Cup Soccer Mad? How To Follow The World Cup Soccer Mad? How To Follow The World Cup The following are some cool ways to keep up-to-date with the goings-on in Brazil. You can also use these methods during the regular soccer season to follow your favorite teams. Read More on the Web. This Street View imagery helps to add some perspective to the events for those of us who won’t have tickets. Are you a soccer fan? What do you think about the latest Google initiative? Explore more about: Google Maps, Google Street View, Sports.